Please join us on Saturday, December 2 from 1-9 p.m. for our holiday tattoo-a-thon fundraiser and toy drive! Select tattoo designs will be available for $40 + toy donation (minimum $10 value). 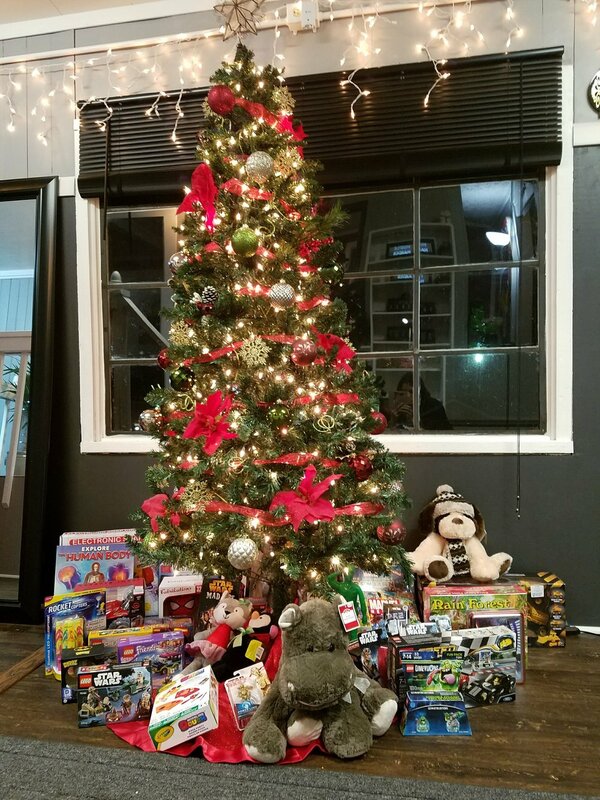 All toy donations and proceeds from each tattoo will be given to Safelight (www.safelightfamily.org), which provides support services to children and families who are victims of interpersonal violence, sexual assault, and child abuse. Tattoos will be done on a first come, first serve basis - no appointments required. We will have Christmas tunes playing, hot chocolate, and cookies to make sure that everyone is in the holiday spirit. We look forward to seeing you there!